On Friday, Feb. 5, Teamsters Local 700 welcomed NBC Channel 5 into the union office to ask us questions about the recent attention surrounding CCDOC sick calls. 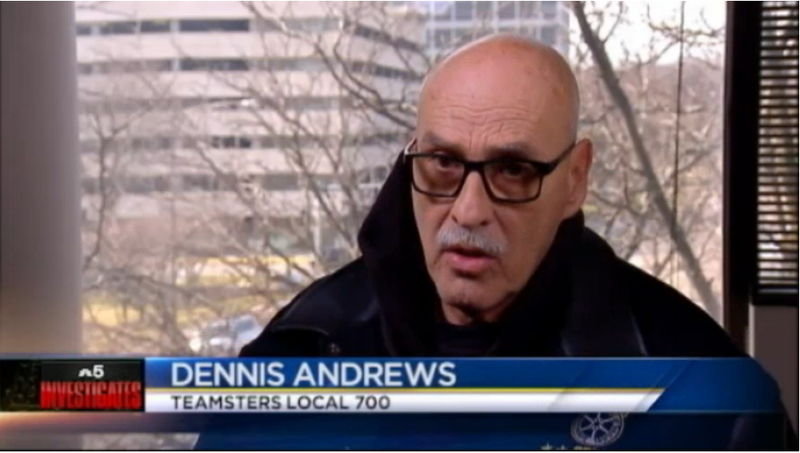 Local 700 Business Agent Dennis Andrews agreed to be interviewed and while many of his remarks weren’t used on air, we filmed the entire on-camera interview for you to see. NBC didn’t air all of our comments but we were happy to have the chance to defend our hardworking members. The news segment aired on the 10 p.m. news on Channel 5 last night. Click here to view the NBC segment.